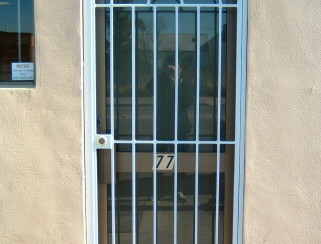 Our wrought iron security doors feature smooth joints that are fully welded. The frame is made of tough steel that can be powdercoated to provide elegant style and corrosion resistance. This door provides security without compromising aesthetics and style.